I will MANUALLY submit your blog to high quality sites with high DA, PA and traffic as guest post. All these sites are high quality general sites with high metrics. Maximum of them would be dofollow backlinks. 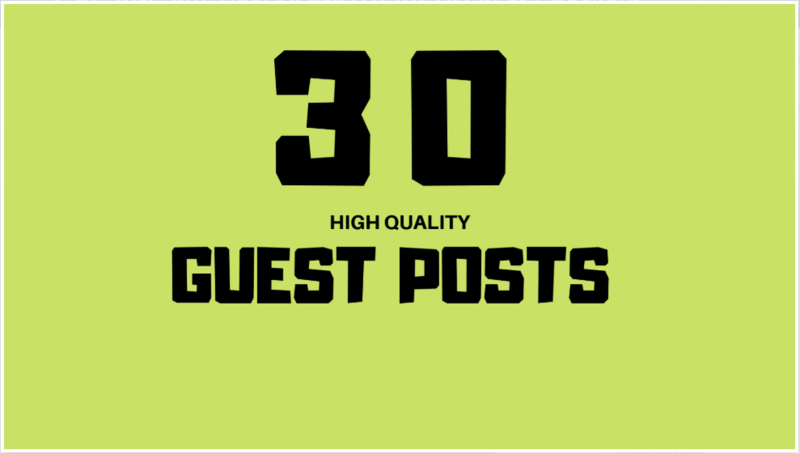 All the guest posts will get index in the Google. Unique content for each blog post will make it natural. I will write 500 words unique articles for each Guest post. Include 1 or 2 image according to the article. I will publish your article on high quality General websites having high authority andtraffic. I will publish these articles with your desired link and Anchor text. Note: All topic and niche websites are accepted here except gambling, Adult, and all other illegal sites. It is better to message me before order.